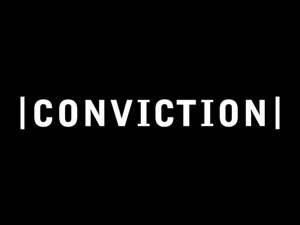 Today I am thankful for convictions. The definition of conviction to which I am referring is that of “a fixed or firm belief.” It is representative of the foundational principles that a person holds near and dear, principles by which that person lives their life, and from which all of their choices, decisions and behaviors stem. I certainly would not be the person who I am were it not for the convictions that I posses. As I sat down to write this post I came to the realization that when I encounter moments that give me pause, and during which there is a lack of certainty regarding what I should do, my convictions usually kick in and help me to think things through in the way that I need to. Most of the time I do not even realize that this is the case, it is simply a natural almost involuntary reaction to whatever circumstances I am facing. However, there are times when I am completely cognizant of the struggle that is going on inside of me, and as I take the time to evaluate the situation at hand I sense my convictions steering me in one direction or the other. Were it not for my convictions, sometimes I really would find myself between a rock and a hard place spinning my wheels without any sense of direction, especially when I am fatigued. Have you ever noticed that when you are fatigued you seem to have less energy to fight through challenging situations, and you are less inclined to focus on making necessary decisions? Well, I certainly know what that is like. Thankfully, though, my convictions practically function on autopilot, pointing me in the right direction when I need that extra reminder of which path to take. And the fact that my convictions are completely founded in my relationship with God helps me to make decisions that I can truly live with.